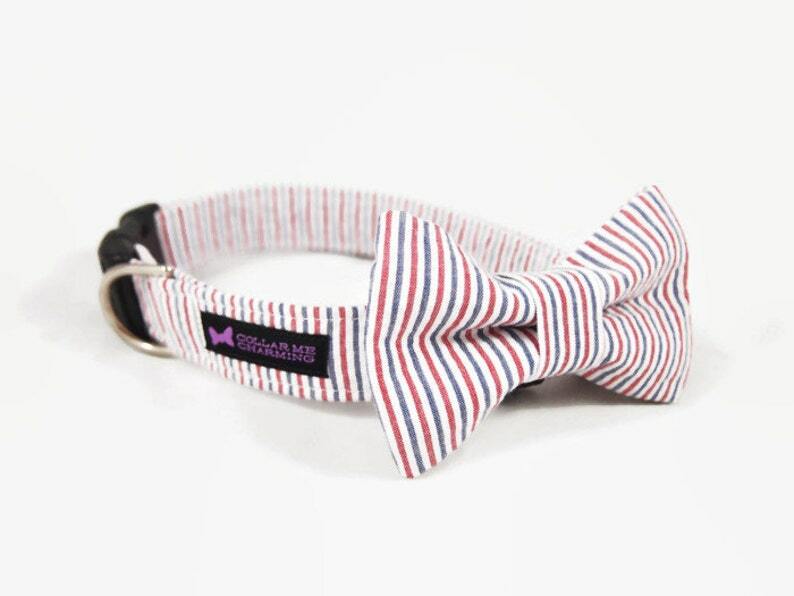 This listing is for a dog collar and bow tie set Americana. Show off your pup in this trendy collar bow tie set! All bow ties are removable and are attached with Velcro and a stretchable strap to keep it in place.